We all know that the rate of internet bundle in this part of the world ”Nigeria” is getting pretty high very high and at these rate you can not enjoy or maximize full use of your android smartphones. So we will show you how to browse the web free with Freedom VPN, with this you do not need any Etisalat internet bundle, as you can now surf the net at unlimited speeds for free using the freedom app with the setting below. With these setting you don’t need a BIS subscription just follow the steps. But these works only on ANDROID SMARTPHONES with version 4.0 and above. * For this to work for you you need to register an account with freedom, or if you have an account skip this step. 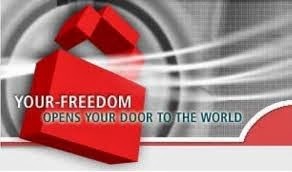 So go to www.your-freedom.de or click here and register a free account. Once you are through with the above steps, proceed to your mobile and use this settings. You need to configure your android phone with the below settings. *Click on the first sign on the right hand side and you done. Hurry and enjoy as it might not last long, before Etisalat close it down. NOTE: You need to create an account with the freedom vpn server before you can use this free browsing.